The Shure BLX24/SM58 Handheld Wireless System gives you world-class design and rock-solid build quality, along with easy setup and operation. Thanks to Shure's cutting-edge QuickScan technology, frequency-selection hassles are a thing of the past. The system includes the BLX4 receiver and the BLX2/SM58 handheld transmitter with integrated SM58 cardioid dynamic microphone capsule. If you're ready to perform untethered, Shure's BLX wireless systems are a smart, affordable choice. Enjoy legendary Shure sound and performance. 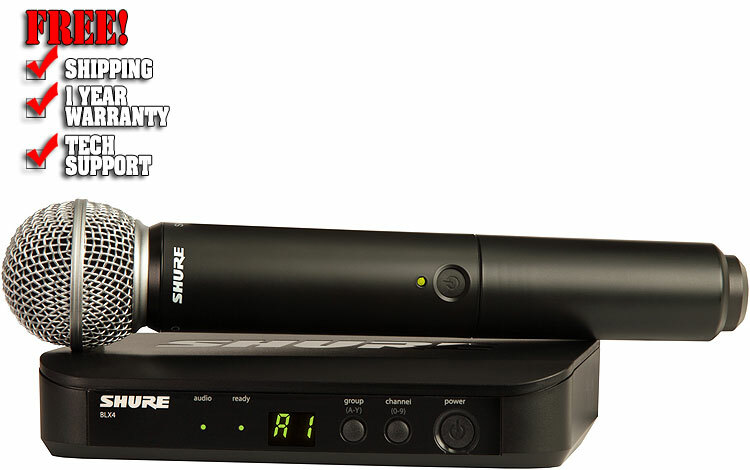 Take the stage confidently with the Shure BLX24/SM58 Handheld Wireless System.